The Kampala Capital City Authority’s (KCCA) Timothy Awany; and Onduparaka’s duo, and Rashid Toha, were conspicuously absent on the Uganda Crane’s bench during the recent 3-0 whipping of Rwanda’s Amavubi Stars. They had travelled abroad to gamble their luck on professional football trials. Alas! yet again, the trio finally sauntered back into the Cranes camp a few days later, after miserably failing to measure up to expected professional standards. They join a long list of Ugandan players who have in the recent past met a similar fate since the olden days of among others; and Majid Musisi, both of whom once enjoyed successful stints of professional football in the Arab world and beyond. The unfortunate record has increasingly left many Ugandans wondering why the jinx continues characterizing Uganda’s footballers, especially in view of the dream of ever ushering Uganda to the high table of football’s power houses, both at the continental and global level. FUFA’s technical Committee Chairman, Hamid Juma, concedes that the entry of Ugandan footballers into professional ranks is still far too incommensurate with Uganda’s FIFA rankings; and he attributes the problem to, among other things, the players’ lack of confidence which he also attributes to their immaturity by the time they decide to give professional football a try. Juma also lays the blame on the scouts who he accuses of prematurely “flattering young players” into desiring to join professional ranks due to selfish motives as they seek to mint money out of it in the event that their anticipated deals succeed. Besides, he told this reporter that, it is inappropriate for young players to contemplate going professional when they have been in active football for a minimum of 8-10 years. 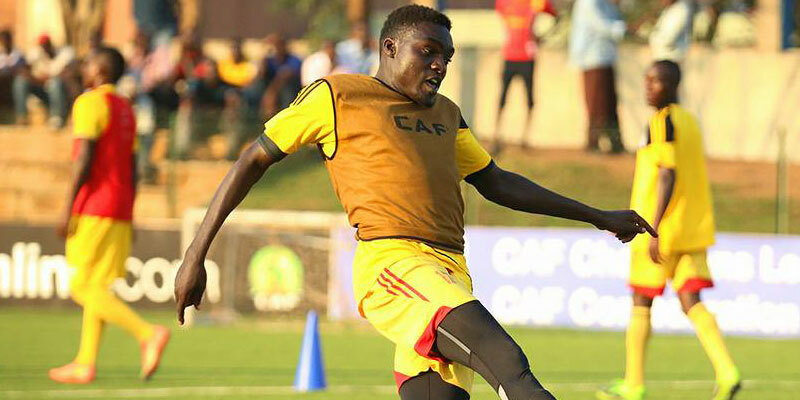 “Just being called up into the national team, is no yardstick for joining professional ranks in Uganda, for example,” Juma says. “This is the commonest mistake many of our boys make. And unfortunately they are not willing to take anybody’s advise cautioning them to hold on to, until they become mature enough to become successful in future attempts at professional football,” he adds. Nonetheless, Juma sees a flicker at the end of the tunnel. He said that FUFA has not only recognized the problem, but has also proceeded to offer solutions; one of which is professionalizing Uganda’s local league. He noted that it is increasingly impossible for footballers from amateur leagues to ever succeed playing in professional leagues anywhere in the world. “On professionalizing our local league, it is mandatory for coaches to undergo professional coaching courses satisfying the Confederation of African Football (CAF) standards,” Juma says. But even then, Juma calls for patience. “Common sense dictates that if you have started administering drugs to a sick person today, for example, you need to give him or her some time to respond to the treatment before you make conclusions as to the efficacy of the treatment,” Juma counsels. On the other hand, some people have attributed the problems to the low level of education, or the previous total Illiteracy among some of Uganda footballers. Stories abound of some players, such as, Hassan Mubiru, who during his footballing career allegedly shied away each time professional footballing opportunities came knocking. But some pundits have attributed the problem to lack of mental development and preparation in the run up to professional trials for professional leagues. “Unlike in developing foot-balling nations like Uganda, players’ abilities to play at professional levels are not assessed solely on their physical potential but also on the mental one. And as long as this component of preparation continues ignore the entire set up of our game locally, we shall continue to see more and more of by our lads failing to achieve their dreams of ever making it to professional and lucrative ranks.” said one former Second Division club coach, who preferred anonymity.